This is not your average subway performance. These two kids are good. Really good. The minute-long video spends most of its time focused on the boy as he sings and hits the white bucket. It occasionally switches over to the girl singing and standing on the seat of the train before it quickly goes back to the boy. A man is even seen in the back digging into his wallet for cash apparently to give to the performers. 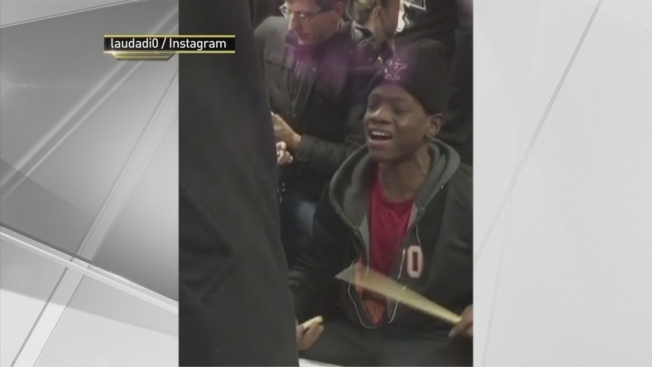 The video is going viral, being posted on the popular Instagram account Subway Creatures garnering more than 30,000 likes and 1,300 comments most of which praise the young duo for their obvious talent.